New BIS logo with GlobTek registration number. In November 2014, The Bureau of Indian Standards (BIS) added 13 additional product categories of that will require mandatory registration from May 2015, and 2 additional categories of products (batteries) that will require mandatory registration from August 2015. The existing 15 categories of products placed on Indian Market / landing at Indian ports on or after July 3, 2013, must be registered. 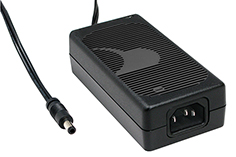 GlobTek power supplies fall under Power Adaptors for IT Equipments, IS 13252 (Part-1) : 2010 , Mandatory May 2015.